The three-phase energy standard PEWM-3C is used for quick on-site tests of all types of electricity meters – for active, reactive or apparent energy, two-, three- or four-wire connection. Three voltages and three currents are measured at the same time. The current can be measured either via direct connection up to 10A (class 0.1), or with three current clamps (CC) to 120A, 150A or 1000A (class 0.2). The last version of the device is offered with an additional isolated BNC input for a High Voltage current probe (2000A / 100kV) or flexible current probe to 3000A.. The error of the electricity meter can be easily determined in manual or automatic mode. The disc revolutions or the pulses from the electricity meter are counted with the universal scanning head (type EH 11) or manually with the help of a button. If the measurement is carried out with the 1000A current clamps on the primary of the current transformers, then the error of the whole measuring circuit is determined. The registers of the electricity meter can also be tested with the help of a manual button or by a functional button on the keyboard. The transformation ratio error and phase shift of a current transformer is measured with one 1000A current clamp (or Flex or HV current probe) for the primary and one 120A (or 150A) current clamp for the secondary circuit. Another function of the device is a vector diagram display and an indication of the numerical values of current, voltage and phase shift; this helps to control the wiring of electricity meters, motors, and other three-phase circuit components. 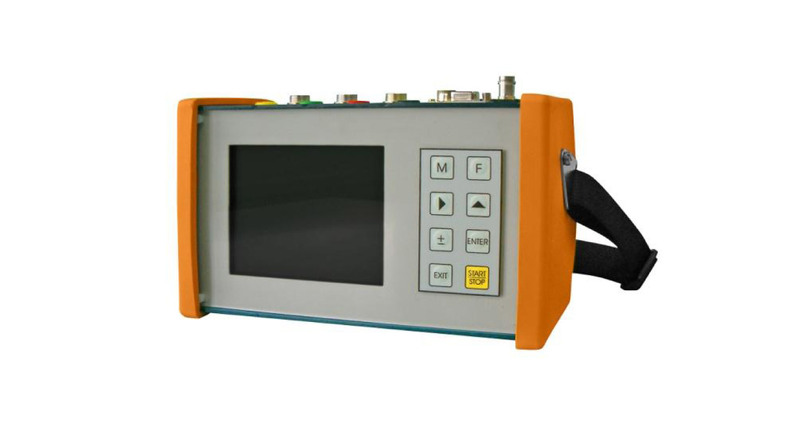 The screen display of the vector diagram can be changed by the operator for 4-wire or 3-wire measurement; the phase-to-phase voltages are indicated in the second mode. Other functions of the device are power, cos j and harmonic distortion measurement; drawing the wave-forms of the input signals in real time. of the measuring circuit or from an auxiliary supply. 100 screen displays of error or vector diagram measurement or current transformer measurement can be memorized in a non-volatile memory and transferred to a computer via RS232C or printed directly on a thermal printer. The vector diagram of voltages and currents is drawn on the large color display in this mode. The true RMS values of voltage and current, the angle between them, the angle between phase voltages for each phase; the frequency and sequence of rotation are also indicated. The On-board consultant will detect any wrong wiring and issue a message. The device indicates the electricity meter error in [%] and the true value of energy in this mode. The delivery of pulses is traced with a bar-graph. The pulses or revolutions number “R”, the constant of the electricity meter “C” and the transformation ratio “P/S” are preset by the operator. The measurement can be changed for two-, three- or four wire connection, for active or reactive energy. The operator can enter the pulses manually or with the help of a scanning head. The value of energy has to be set in this mode. The measurement is started and stopped by the operator using the Manual or Functional button. The error of the register is indicated in [%]. The values of active, reactive, and apparent power of the three phases are indicated, separately and for all three phases. This mode can be switched for three-wire or four-wire measurement. The harmonic content of each input signal of voltage or current can be measured in this mode. The amplitude in [%] of the 1st harmonic and the initial phase of the odd harmonics up to the 27th are indicated, also the THD (True Harmonic Distortion) is displayed. The value to expand into harmonics is determined by the operator among the 6 input signals. The measurement and the corresponding screen display are renewed every two seconds. Two or three signals can be drawn simultaneously on one line of the display. The operator selects the signals on each line – V1 I1 or V2 I2 or V3 I3 or V1V2V3 or I1I2I3. The operator is also able to change the amplitude of the second and third signal from 100% to 50%.